There have been many supportive people who have helped me through my grief and loss, especially recently. 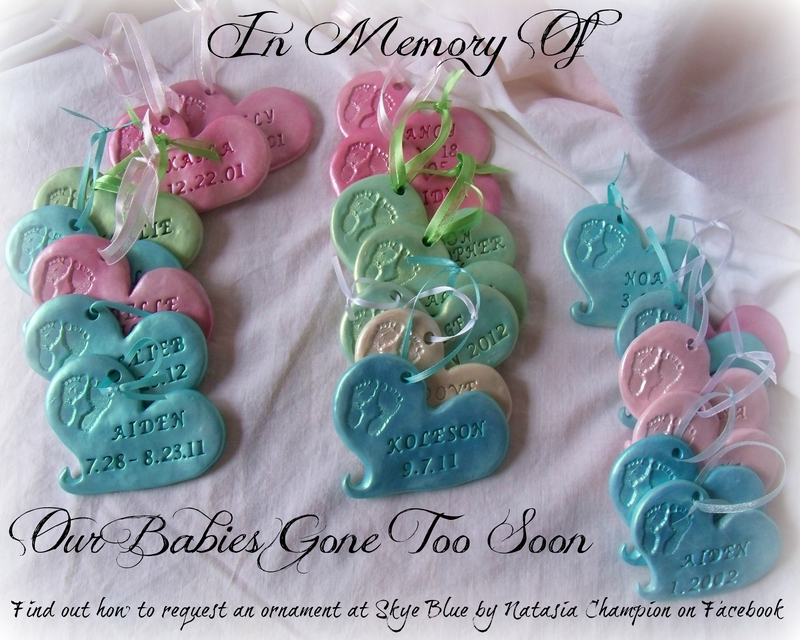 So many fellow loss moms I have met and who have been wonderful and who are doing this project too. I really have been blessed, for every un-supportive person I have met, I have one that means the world to me and far out weighs the negative. However, there are 2 people specifically that are especially worthy of mentioning. The first is my mom, Heather. She has walked the road of grief and pain with me long before my daughter died, before anyone else stood with me, back when I was truly alone. She was also physically there at my greatest moment of need, when my daughter made her journey from this world into eternity. (I had the honor this past Spring to return the tender and painful gesture when we watched her love of 31 years, my father, join Skye in eternity.) The days immediately following Skye’s death were special and sacred as she was again there for me to walk with me the very first part of my journey, both figuratively and literally, in the woods of Central Kentucky as Fall retreated and the icy cold of Winter began to wrap its fingers around my very soul. I believe I am stronger now because of her nurturing support during my shattered state, when the shock and numbness kept me from feeling my wounds enough to care for them. She helped bandage my heart and change the dressings, so to speak. The other person who has been there completely, more than any other person could be, is my husband, Josh. He lost the same thing I did at the same time. His world was touched and shattered by the same beautiful little life in the same way. He was strong when I was broken and lifeless, he held me emotionally, physically, and he never judged the stages of grief I was going through. He kept us going financially right after Skye died, he was the one to go back to work, despite the fact that he was as broken as I was. He continues to this day to support me in being a stay at home mom, knowing that even though we could do a whole lot better financially if I worked, my time with our kids is so much more important to me and ultimately to him. He’s my rock. We’ve been through so much more in 6 years than most people have in a lifetime. We’ve seen the best and the worst, life and death, and he has done his best to be the person I needed him to be at all the different times. We’re all human, its been far from easy and perfect, but the body of work has been support, love, and faithfulness. A woman could not ask for a better man to walk this road with. (top) My mom and I just days after I buried my daughter, on the very beginning of the carrying on process. 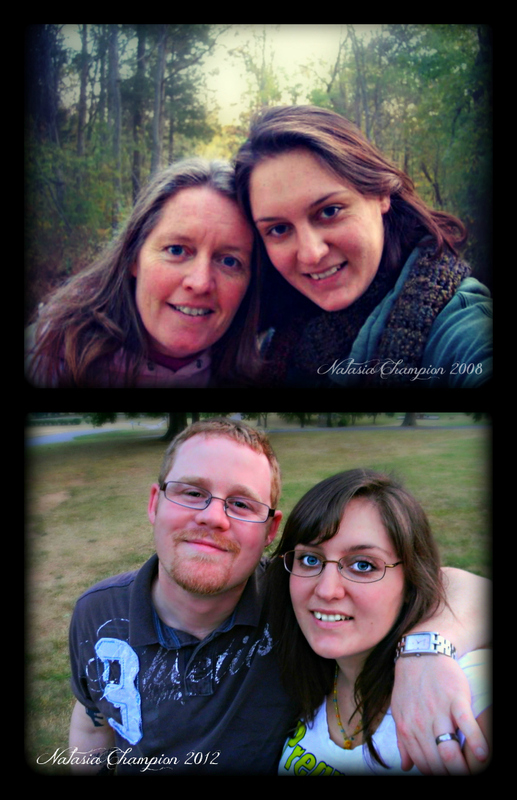 (bottom) My husband and I this past July, a couple of months shy of the 4th year anniversary of our world shattering. These 2 have supported me in ways nobody else ever could. There are many pictures of me after my loss and as I scrolled through the ones I have on this computer (many of my “after grief” shots got trapped on the old laptop that with everything else from that part of my life is broken and/or lost) I noticed a trend. It doesn’t matter if I took the picture or someone else did, if it was days after my loss or months or years. In most of the photos I’m smiling. Don’t get me wrong, I have the heart wrenching ones where I’m streaming tears as I hold my lifeless daughter or the ones where my husband and I are huddled close in tears at her one-year-after-passing candle light ceremony. But for the most part, even the ones at her funeral where you can see I’ve been crying, I have a gentle, sad smile on my face. I’m not pointing this out to toot my own horn. “Oh, I do so well with grief.” No, that’s not it at all. I point this out because looking back it kind of astonishes me to see so many smiles during a time I remember as the most painful agony I’ve ever endured. And not fake smiles, but genuine, gentle lines on my face. Even days after her passing I look years older though, that is something I notice with all the photos. The happy 22-year-old is replaced with a much older looking soul, but there is something behind my eyes – HOPE. I believe that is the tiny spark of life that can be seen. Even at my worst moment, my agony, my pain, my emptiness, in the midst of it all there was always a spark of hope. From October 13, 2008 until today, that is the resounding theme in my loss of Skye. Hope. I see many other moms who have and are going through this and my heart aches for every one of them, but especially for the ones who describe life after their loss as hopeless and despairing. I am not a “preachy” person by any means, but I have to say, it behooves me to testify that the ONLY thing that got me through my loss and continues to bring me through is the grace of my Savior Jesus Christ. The hope that I will be with her again one day, in perfection, that is big, yes, but it doesn’t take away the pain of right now wanting her, to hold her, to love her physically in my arms. The only thing that has ever relieved the day-to-day grieving process we are left to carry on with here on Earth is the grace of Jesus by my side, every day, bearing the load that is far too heavy for anyone, especially me. Yet I am struck by the smile on my face captured at this impromptu moment. I remember Mom wanted to snap a picture of me before the light was completely gone, she had said I looked so beautiful right at that moment and I thought she was nuts. I had been crying, it was cold and my face felt half-frozen from all the tears and nose running, I think it was her saying that I looked beautiful that helped me smile, out of the sheer insanity of how it sounded. Less than a month after burying my precious girl. I marvel at the smile. Before and after Loss. 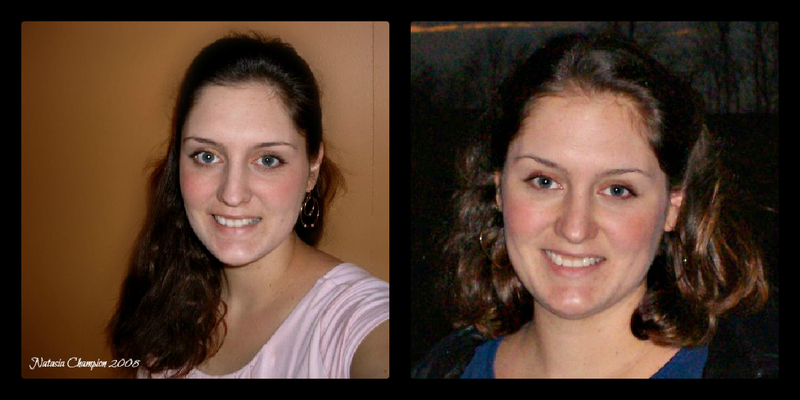 These images were taken with the same camera, and they are about 7 months apart. Brownie was approaching a year old. This milestone did not affect her playful character. She would still chase a string at the drop of a hat, or anything else that moved. One of her favorite past times was pouncing on Sandy’s tail. Our trusty dog was getting older and had long since abandoned the frivolity of puppyhood. His favorite thing to do was lie down close to one of us and quietly listen to conversation or watch the babies play while keeping a safe distance and out from under feet. If somebody happened to look his way he would politely wag his tail for a second, but he wouldn’t even bother to lift his head from his front paws. Brownie was often crouching behind a wall or the couch, waiting for his tail to move, her eyes fixed intently on it and a devilish gleam could be seen in them as she waited. The moment came, that poor, innocent tail knew not the danger that lurked out of view, and a startled Sandy would jump when she pounced and bit the moving tip. He would get up nervously, sniff her back and she would let out her signature “Purrr?” ever so innocently playing coy at his investigation of her offensive tackle. She’d lick his nose as if to say she was sorry and would not do it again, but as soon as he settled back in to his comfortable spot she would scamper to her hiding place and the whole thing would begin all over. Sometimes she would wait till he was all stretched out, napping peacefully, and she would charge him head on and jump on his face with all fours and claws bared. He was a good sport, he never once snapped at her or got mean, he just looked from her to us with worry in his eyes as if begging us silently to intervene. They were good friends though, many times curled up together for a nap, her head on his paw. They defied the traditional cat/dog stigma. With Brownie’s physical maturity came the male cats. The prospect of her having kittens was exciting for me, and for my brothers too, because I had promised each of them first pick of the litter. They saw how special Brownie was to me and felt a little left out, I think. They wanted a pet that could be all theirs. Brownie was more than just a pet for me though. She was my friend, my silent companion who seemed to understand me with almost human perception. She knew how to read my moods. She knew when to be playful and when to curl up next to me quietly when I needed comforting. She was an active part of my imaginary games and she followed me like a puppy where ever I went. She sat next to me when I was studying and purred softly as I read, batting the pages of my book gently as I turned them, as if she was helping me turn each one. She was as adventurous as I was and greeted each new experience and all new surroundings with a head on approach. We had bought property high up in the Sangre de Cristo mountains while we lived in Stone Wall, but that Summer of 1997 was the first real chance we had to spend time up there and live at 11,000 feet in elevation. We packed up our old Avion, borrowed a truck to pull it, and we tugged that poor old friend to its final resting place at the top of a mountain – literally. It is there to this day, nestled inside the walls of our unfinished log cabin, a den for animals of all kinds. I know this because in 2008 my husband and I made a couple of trips up to our old property to see if it was still there. 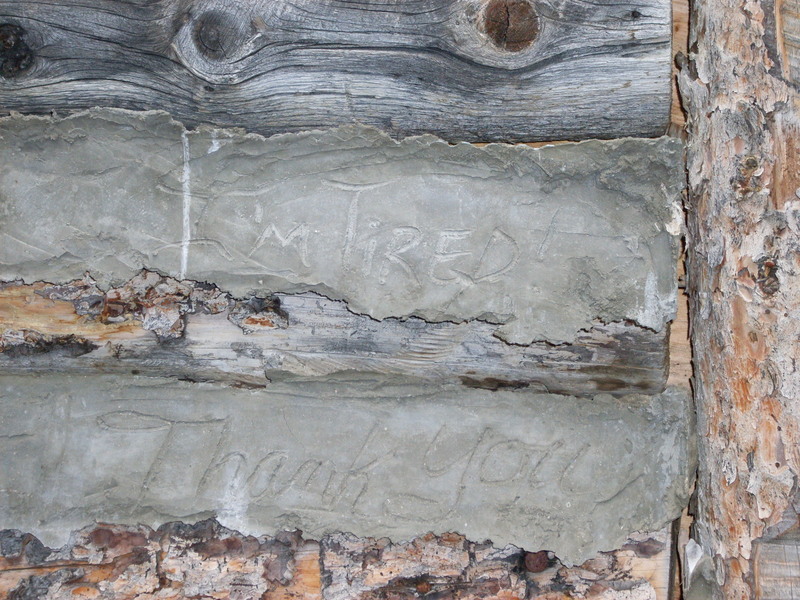 Sure enough it was, in a sad condition, left for over ten years to the severity of the elements in a place where humans only frequented during the Summer to gather firewood and poach elk illegally. Seeing it so diminished from its former humble glory brought a wave of tears as I stood there with my husband and seven months pregnant with my daughter Skye. The cabin, with all the memories and tears and sweat built into its walls, now lonely and unkept, decaying back into the fir forest that surrounded it, was almost more than I could bear, and yet I am so glad I made the trip to give it the one final goodbye that had been so long in coming. But I’m getting a little ahead of myself…. Ah, that Summer! At the time, I never thought I would look back and wish so desperately for that Summer to return, to go back in time to the beauty and innocence and simplicity of those few short months on “our mountain”. We actually owned a little over five acres, but the remoteness of its location and the lack of human habitation made it seem like so much more. We could hike the rough dirt roads up there for miles in any direction and never see a sign of another person for days at a time. It really was like owning the whole mountain and having it to ourselves. Pulling our trailer up those steep roads and then placing it among the trees on our property, on a very steep grade, is a story that time won’t allow me to go into. Let me just say that it was an indicator of the immense family effort we would have to under go to fulfill my dad’s life long dream of living out west and building a real log cabin, by hand, just like the pioneers. Perhaps of all my family, I was the most genuinely enthusiastic about this endeavor because it meant we would finally have the garden and animals and lifestyle my dad had been telling us about. His interests had found an unlikely soil deep in my soul in which to take root and I couldn’t wait to grow things and milk goats and have chickens. Naturally, we couldn’t do all that until we had a place to live. Even with my excitement about our “pioneering”, the work it took to achieve the desired goal was hard. For machinery we had a chainsaw. Granted, a very big chainsaw, but there was no bulldozer, no crane, only sweat and sheer will. Looking back I am amazed that we accomplished so much with so little and in such a small amount of time. From mid June to the end of September we raised that cabin from foundation to just shy of putting a roof on and closing in the gables. I’m talking about the main frame, none of the inside and finishing work. For man power we had mostly my mother and my older brother who was only fourteen. My dad was still working full-time logging. He was only able to spend the last thirty minutes of daylight sawing down logs for the cabin, the weekend putting them together, and sometimes we’d turn on a flood light powered by generator to do work after dark. That left us to do preparation work while he was gone all day. This included dragging those logs down the mountainside to the building site. Once again, time does not permit me to go into great detail on the building itself. I will take the liberty of inserting a post here from my mother’s blog that goes into more detail on the construction of the cabin. It is written from her perspective, of course, so for those of you who are unfamiliar with this part of my story, take a moment to read this and you will have a better understanding of what I’m talking about. ( http://itisrighttowrite.wordpress.com/2010/03/23/the-cabin/ ) I want to paint a picture of the other activities we engaged in while waiting for Dad’s direction and help on the next steps in the building process. I would build little rock houses with Noel while Naomi played contentedly with some bark or sucked her pacifier and watched us. The houses started out very simple, but slowly evolved into rock labyrinths just the right size for a cat. We would spend hours making these “cat hutches” with roofs and doors and windows and then we would shut Brownie inside to explore. For some reason she didn’t think it was as fun as we tried to make her believe and she always made her escape through some tiny hole we had left unconsidered. She would just bully her way through into the open air, scamper off a few feet and then look back as if to laugh and tell us we needed to step up our game. We would improve our construction, put her in again, and she would once more escape. It was great fun and especially entertaining to Noel who was only coming up on two years old. We also went exploring, the boys and I, when the babies were napping and mom was resting at midday. Not too far off our property we found a cluster of boulders and we built forts and pretended like we were orphans surviving on our own after running away from the orphanage because the bad people were going to separate us. (Don’t ask me where we came up with our ideas, I don’t have a clue.) One day during this type of game we became aware of a multitude of wild mushrooms and fungi growing in the woods and somehow we ended up having a hide-and-seek/ tag/ mushroom war. It had very specific rules that I don’t remember now, but bombing each other was the object of the game and you had to stand still and count to 50 before you could resume playing once you were hit. Your opponent knew you were hit because most of the projectiles left either a brown or yellow smear on your clothes. Mom was not happy when she discovered how we were passing the time. She issued a cease-fire…..permanently. We went on hikes, we picked wild strawberries and raspberries, we found a stream and went fishing, and all in between building a cabin by hand and other daily living, such as doing laundry with a bucket and washboard and cooking on a wood stove and open fire. At 11,000 feet, where just breathing can be difficult, we were frolicking like deer, having uphill races, and hiking to where it was too high in elevation for trees to grow, and higher. Needless to say, our lungs grew strong, our muscles stronger, and we all lost a lot of weight. There were plenty of times when my brothers tired of the games I liked to play and I went off by myself with only Brownie for company, wrapped in a world of my own. This was usually ok with me, but every once in a while my feelings were hurt that they didn’t want to play with me, or I was angry about an argument we had. I always took comfort in Brownie. I knew she was always there for me and didn’t think my ideas were stupid. About a couple of weeks after moving up to the mountain, Brownie gave birth to kittens. I had always wanted to witness this miracle of birth and I knew it was animal nature to go off in the middle of the night and quietly bring their young into the world away from prying eyes. As Brownie got bigger and it became very obvious that she was due any day, I became nervous that I would miss this important milestone. She was always off hunting or exploring and it would have been very easy for her to slip away to some secret hiding place and let nature take its course. My mom prepared me for this disappointment by reminding me that it was very likely to happen. All the same, I always tried to follow her and keep an eye out to make sure she wasn’t going too far, but it was impossible to keep track of her. One morning I woke up and she wasn’t her usual energetic self. She just layed at the foot of my bed, only going out briefly to use the bathroom before coming back to meow at the trailer door. She seemed tired and wanted to stay curled in a ball and sleep. Somewhere around noon it became apparent that her time had come and I can’t even describe the excitement I felt that I would be able to be present for this event. I marvelled that she had chosen, of all places, my bed. It was wide open, in the middle of the traffic zone, between the living area and the bathroom, and not at all a quiet or secluded place. However, she seemed not only comfortable, but insistent that she stay right there, so we made her a nest of old towels and let her be. I stayed by her side, like a sympathetic mother, and as I gently stroked her head she would pause between contractions to lick my hand. She was perfectly content to have me close and touch her. She seemed calmed by my presence. By evening, there were three little babies and a very proud mother purring contentedly over her new family. I was thrilled, there was one for each of my brothers and one for me. My joy was short-lived, however, the little boy kitten didn’t make it through the night. I had promised my brothers first pick, and while I was a little disappointed that I would not have a new little charge, I had Brownie and that was fine with me. I was sad for the little one that didn’t make it though, he was orange and his two sisters were brown tabby, like their mother. They looked almost identical with only a streak of white on one’s face to distinguish them. My brothers named them Kiki and Kitten and they soon became just another part of the family. With two little mouths to feed, Brownie went into hunting over drive. Small game was plentiful up there on the mountain and after several days of watching her bring in her catches I started keeping a journal of all the little critters I saw her bring home. There is really no telling how many she caught that I wasn’t able to see, but the list I had by the end of the summer averaged one or two different animals a day and included mice, chipmunks, shrews, birds, and even snowshoe hares. She was a regular lioness, taking it upon herself to feed the whole family. Perhaps she thought we were going to eat them too! Those days flew by surprisingly quickly. As the cold crept up on us we hurried to finish the cabin to the point where we could winter in it, but it just was not to be. As the heavy frosts came and then snow, we realized we had better move back down to the valley before we got snowed in completely and found ourselves unprepared to deal with months of waist-deep snow and no supplies. We found that the trailer we had wintered in the year before was rented, but just down the street Karen had another mobile home for rent. This one was a double wide, a three bedroom with more space than the first. We moved in just as Winter’s full fury hit us with a two-day snow storm. A storm of a different kind hit us too. Every single one of us came down with a horrible flu, from Dad all the way to little Naomi who was just about to turn a year old. The babies got it first and we thought it was their teeth coming in, but as it hit Mom, my brothers, and finally me, all we could do was lay around in a decrepit state. The strongest person of the hour would drag themselves from one person to another administering cool, wet clothes, emptying bowls, and bringing sips of water until they were too weak to continue and then somebody else would take a turn. It was dreadful. It lasted for several weeks, cycling through each of us and leaving us even thinner than we already were. Just as we started getting back to normal another sickness hit, this time the kittens. It started as something mild, a little drop in energy, but then it quickly turned to listlessness and not eating, and finally dry heaving. We were not set up to pay veterinary bills, we weren’t even set up to pay human bills, so to this day I’m not sure what exactly it was, but I suspect distemper. About a day before the kittens succumbed to their illness, I let Brownie out for a while and she never returned. It wasn’t like her to stay out all night, but I thought since the kittens were about five months old, maybe she had gone into heat again and she would be back in the morning. All the morning brought was a worsening in the kittens’ condition and later that evening they died, first Kitten and then Kiki. We were all heart-broken, we cried, but I had an even deeper pain inside and I frantically pushed it down, way, way down, where it could not choke me so badly. Even as we buried the kittens together in a shoebox under the cottonwood tree out back, I held out hope that Brownie would return. Days went by, and then weeks. My mom had long since told me Brownie had probably been sick and gone off to die. I tried to face this realization, I tried to be brave, especially in light of the fact that my brothers had also lost their little friends. I cried several nights but I prayed hard that it wouldn’t be true, that she would just come back. I know now that I was dismissing the inevitable, that I just didn’t want to face my fear and loss, but I got this notion in my head that Brownie had loved the mountain and had gone back up there to hunt and wait for us next summer. The movie “Homeward Bound” replayed in my head and I made myself believe that this must be true. I kept these things to myself lest I be laughed at by my brothers or even worse, told it wasn’t true. I prayed every night that she would be safe up there and I bargained with God that if He would just let me have her back I would do anything He wanted. I missed her terribly. I missed her silly antics, her funny questioning purr, her companionship and comfort – I missed my friend. I was approaching those awkward teenage years that seem to magnify the littlest problems and nobody understood me. We found out my mom was pregnant with baby number six and my dad had to break from logging because of the weather and take a job trucking over the road. Many times he would take my mom and keeping the household running was pretty much my responsibility while she was away for two-day trips. I felt lonely and wanted so badly for Brownie to be there. I remember the day we finally got to go back up to the mountain. I think it was July before we were able to make it up there since my mom gave birth to Nevada in mid June, the usual date by which the snows were melted enough to make the roads passable up there. I remember getting out of the car in the cul-de-sac at the end of our road and running off to the boulders that lined the edge of the hill. It was a place where we had constructed cat hutches the Summer before and where Brownie and I had played by ourselves. I waited for the rest of the family to head up the slope to assess the condition of the cabin and see how it had wintered, then I called, “Kitty, kitty, kitty,….” quietly at first, then a bit louder. I waited for Brownie to appear, praying with all my might, calling her again and again. Of course she never came. After about fifteen minutes I stopped calling and just looked around at the world we had shared so closely that summer a year ago. There was an ache in my chest that had been shoved down for a whole Winter and now it slowly floated to the surface where I could feel it, pounding against my ribcage and tightly gripping my throat. I heard my mom calling my name to come help out with something and I turned away, knowing I could not say what I had been doing since everyone had long since thought I was at peace with the truth of the matter, that Brownie had died last Winter and wasn’t coming back. I knew it now, but I was far from at peace with it. That Summer of 1997 was really the last one of my childhood. Caring for my sisters had a way of making me grow up and mature quickly with responsibilities. The loss of my friend only added to the reality of growing up. It was my first hard lesson. I learned that no matter how hard you wish for something, it doesn’t always mean it will come true. I also learned that it is the ones we love the most that have the capacity to bring the greatest pain. We never did find the time to finish the cabin or fulfill the dream of living simply, like pioneers. Not in Colorado, anyway. In the beginning of July,1999, we moved to Kentucky…. but that is a story in itself. 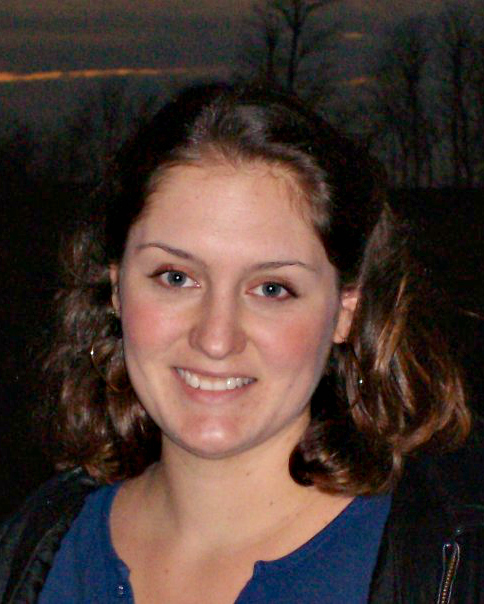 As I mentioned before, I revisited many of my old haunts in 2008 with my husband while pregnant with my first child. 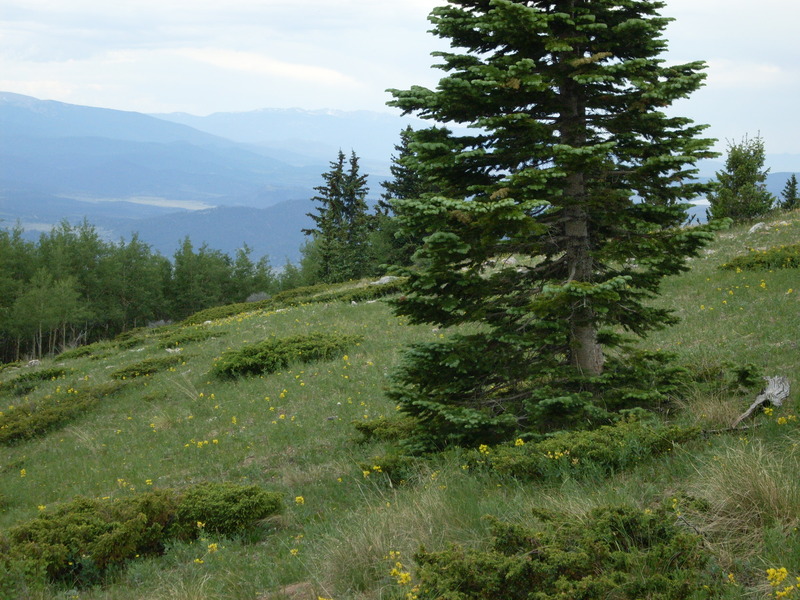 I had done a short four months in Colorado on my own in 2005, but had never ventured over the La Vita pass, and certainly had not gone to visit the cabin. When my husband and I had our restaurant in Colorado, we somehow found time to make this important journey a couple of times. I say important because my husband knew very little about my life growing up and it was so unique that I found it frustrating to try to explain. As we drove the same roads I had driven ten years before and I pointed out all the places of interest, all the memories came flooding back to me. I was a little girl again, ten and eleven years old, looking at this new and exciting world through fresh, innocent eyes. My daddy was my hero, life was an adventure, and there was nothing that hope and dreams could not overcome. As we stepped out of the car onto the cul-de-sac, I looked off into trees that rose up next to the stream and I could almost see Brownie scampering out of the vegetation with her latest kill proudly in her jaws. As we climbed the short distance to the cabin, my little reverie slowly vanished like smoke on the breeze. Our pride and the object of our love and toil stood with ten years of age in the severest of weather conditions. The walls stood, as they probably will for another ten years and more thanks to my dad’s hearty use of oversized logs and re-bar, but the floor was mostly unsafe to walk on, the trailer enclosed inside was a shambles, it’s carpet and upholstery ruined with dirt and animal droppings, clearly a den for porcupines or even a mountain lion. Any human belongings had long since been torn up for mouse nests, cabinets scavenged for any remnants of food, everything was just a mess. I didn’t take pictures as I had planned. Maybe I forgot, but more likely I could not bring myself to capture our once mighty fortress, now brought to its knees by the elements and time, in such a permanent manner. I preferred to picture it the way it is in my memory, along with that happy summer and my friend Brownie. 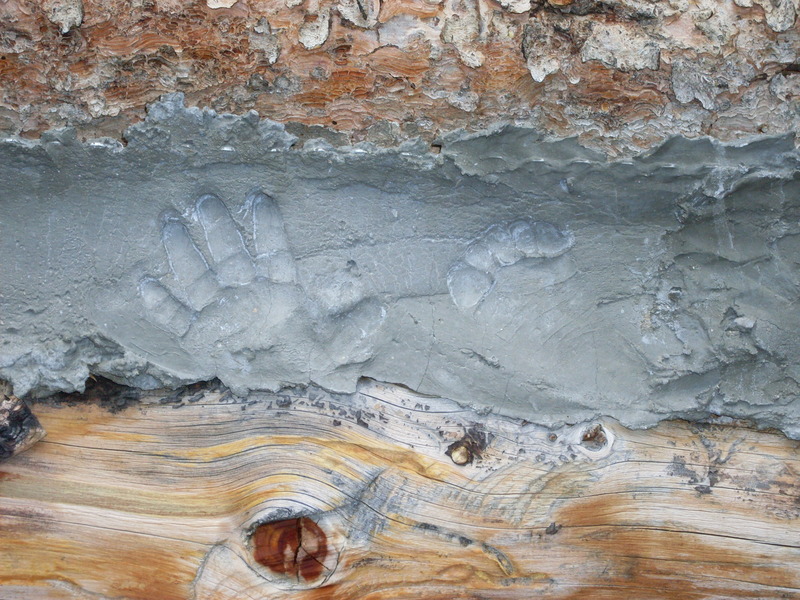 I did, however, take pictures of the prints we had put in the cement “chinking” between the logs. They remain to this day as a testimony to our love and hard work. They are personal messages from each of the ones who labored there, every day for a whole summer, even my little sisters have their part in the memorial. Noel’s chubby little hand print and Naomi’s foot print are engraved there along with my mother’s and brothers’ etchings, right next to mine. 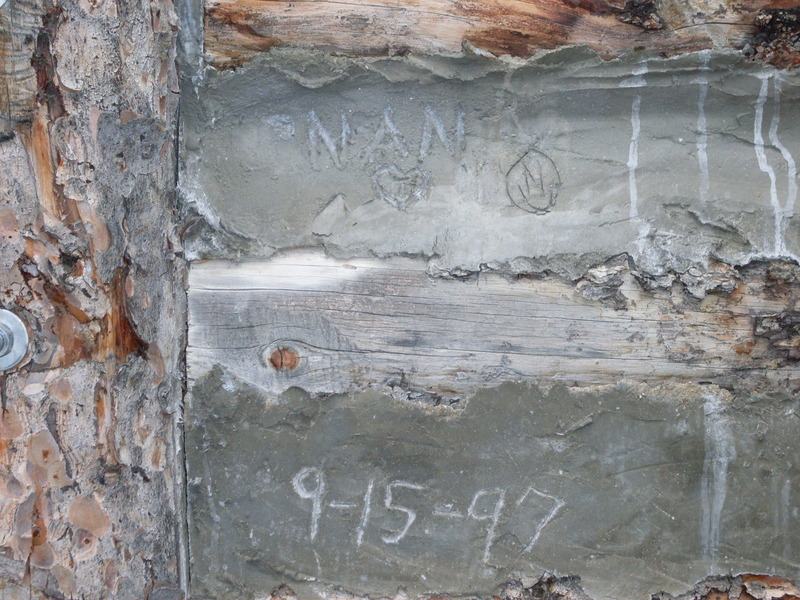 Only my dad does not have something written in that cement, but his finger prints are all over that five acres. From the trees he cut there are stumps, now weathered gray and awaiting their sentence of slow decomposition. There is a hollow etched deep into the earth where we began to construct a root cellar. There is a trench about seventy feet long that ends in a deep, dry depression where a little reservoir once offered us clear, cold water much closer to our cabin than the springs originally were. Silt has plugged the mouth of the trench, drying up this life line to our little pool and leaving the springs to flow in their original paths uninterrupted once more. And of course, there is the cabin itself, a slowly decaying testimony to one man’s dream and the sheer strength of the human will. As I stood up there on that property that day in 2008, Josh and I talked about buying it back from whoever owned it and finishing the cabin, but I knew deep inside that it was just a nice thought. It was neither monetarily feasible nor practical to build on this one of a kind structure, drawn up in the unique mind of my father. No, this dream had died a long time ago. That was the last time I would see the ghosts of my childhood, we left Colorado shortly after that to come back to Kentucky. I am so glad I went up there though. Even though it was painful and I cried, I got some kind of closure that I had needed. Looking at all those memories, one by one, but through the eyes of a grown up me and in retrospect, I could find a smile even in the pain. I could find joy in thoughts of my first dear friend. I realized I still missed her and always would. She could never be replaced and I would never try. She will forever remain in my heart the Brownie of the last years of my childhood, along with the ghosts of that Summer, 1997. 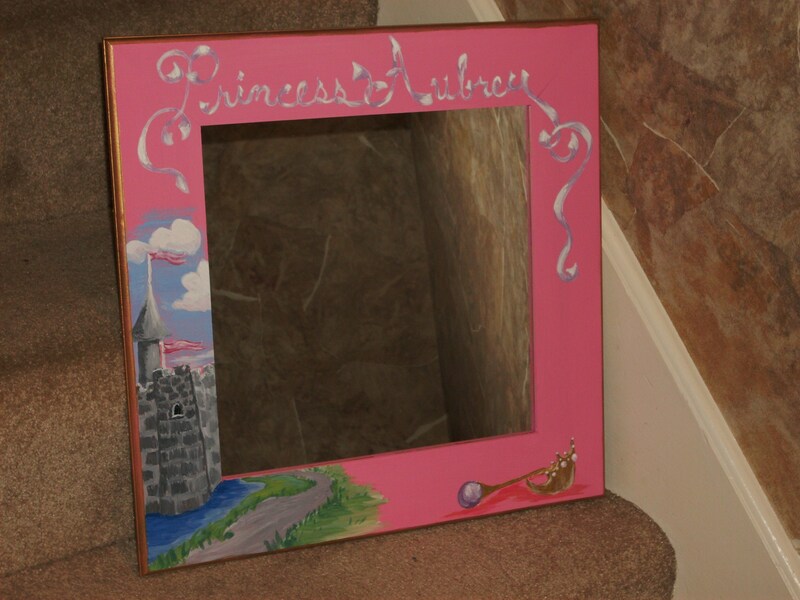 Some time ago, I was commissioned by my sister-in-law to paint a custom mirror for my niece’s room in their new house. She asked me to do a princess theme and while I was excited by the challenge, I knew it was a subject matter I had never done and I wasn’t completely sure how to go about it. This is where the worry kicked in. To understand the magnitude of the situation, you have to know my personality. I am a list maker, a planner, worrying is so a part of my character it is embedded in the subterranean layers of my very soul. I worry about the smallest things. A bill that we have the money for, and that isn’t due for another ten days, will keep me awake at night if it isn’t paid the day we receive the statement. 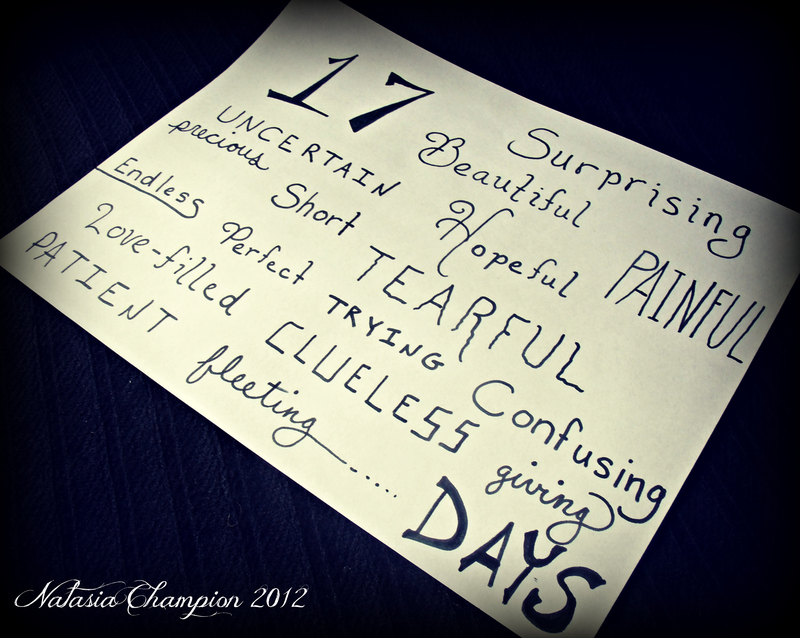 I am constantly trying to know every thing in advance to plan for a week or month down the road and I think about scenarios that probably would never happen and worry about them happening to me. It is a sickness. Well, I mused over this mirror for a couple weeks, trying to decide how to execute my endeavor. I found my materials, I decided on a direction to head with the subject matter, and I sat down to paint – finally. Wouldn’t you know, it turned out really well. However, I could not stop worrying there, I began a new worry. Would my client like it? I received an e-mail granting full approval after she saw the pictures I sent. She loved it! Well, my next big anxiety was how I would ship it. I did not want it to be damaged and it was an odd size and shape. It wasn’t going to fit into a big padded envelope, but all the boxes I had were either too small or as deep as they were wide. This mirror measured somewhere around 16″ square, but no more than 1″ thick. I would have to get a lot of packing material to take up extra space. This dilemma with packing materials was driving me crazy. There sat my finished work staring at me, calling my name every time I glanced over. “Tasia, here I am, I’m still here!” I know my readers are probably laughing right now, but I wasn’t. It was not funny, it was annoying. I finally came up with a way to wrap the mirror in plenty of bubble wrap and cut a cardboard box apart. My idea was to make my own super-sturdy, padded mailer. The problem was I didn’t have a big enough box with the right dimension on the sides, so I taped four panels together. I put my precious cargo in the middle and sealed the edges of the cardboard with tape. My package resembled a big square clam. Looking at it I was pleased until a new thought struck me. How was I going to get it into the post office by myself? It wasn’t heavy, but it was awkward. There wasn’t really a place to hold onto it easily. The other factors involved were complicating the completion of my task. I would have to go by myself because Josh was at work. If we went on his break, I’d be standing in the post office for at least forty-five minutes as that is a very busy time for that particular post office. I might even make him late in getting back to work. If I did it myself, how was I going to carry this monstrosity in one hand, my baby in the other, and still lug my purse. (My purse often feels like it carries an anvil.) I felt I would surely drop one or the other. To top it all, Faith had just come down with a cold. This may not sound like much to you, but for me, it was very intimidating. That simple task had a full eighteen hours of worry put into it. I changed my whole schedule to incorporate it and it’s myriad of possible complications. By the time I dropped my husband off at work and got to the post office I felt like Joan of Arc leading a crusade. I was ready to face a long, toilsome endeavor. Here is where the point of my story comes out. As I got out of the car, got the baby, shouldered my purse, clutched the awkward package, and crossed the street in front of traffic, Somebody was watching me. Before I even got to the door, an elderly gentleman came hurrying toward me. My package was proving to be a lot less difficult than I had imagined, but he took it from me with a smile and said,” Here, you let me get that!” He carried my package and opened three doors, let me go ahead of him in line, and even insisted on carrying my package up to the counter for me. I was so over whelmed with thankfulness and kept thanking him heartily. He just smiled and nodded. I got in and out of there quicker than I ever have and headed to my car, effectively putting my sick baby through very little discomfort. I heard someone call out for me to have a great day, but I was distracted with getting Faith into her car seat so I didn’t look up right away. When I did he had turned away and headed the opposite direction. I sat in my car for several minutes before pulling into traffic and was just so blessed. I was rather ashamed that I had continued to worry knowing that God had taken care of my needs thus far, He would do so again. When I said Somebody was watching me, I didn’t mean that elderly man. We get so caught up in our day-to-day tasks and cares that we forget who holds the Universe. We forget that the One who made this planet also sends the sunshine and rain, right when we need them. I have mentioned that our worries are like a mental appendix – what are they for? I wish I could get my troublesome mental appendix removed surgically. I wish it were that simple, but it isn’t. I guess I will just have to work harder to remember the little unexpected blessings in my life and Who sends them.